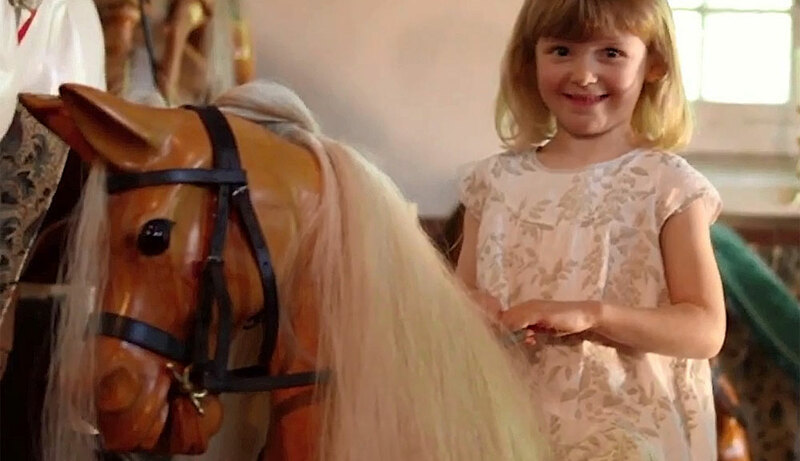 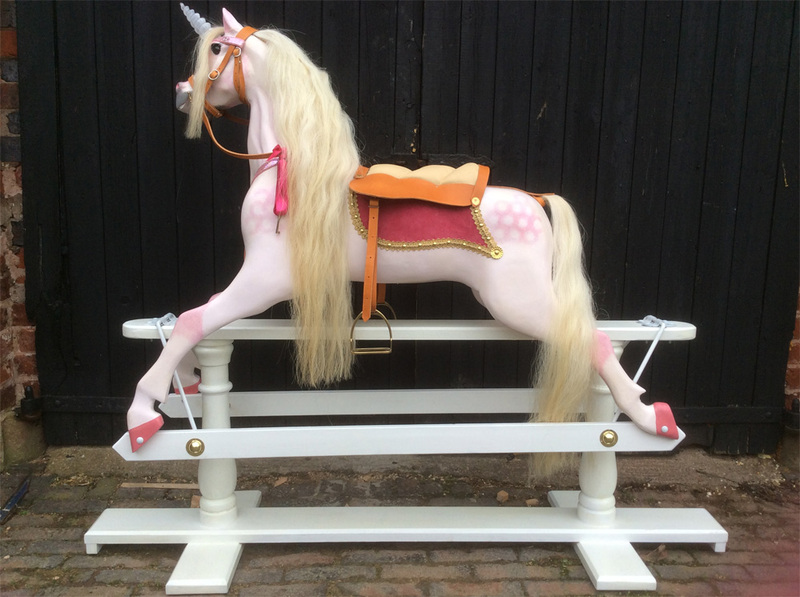 Our Unicorn rocking horse is a fantasy fairy tale and every little girl and boy's dream. 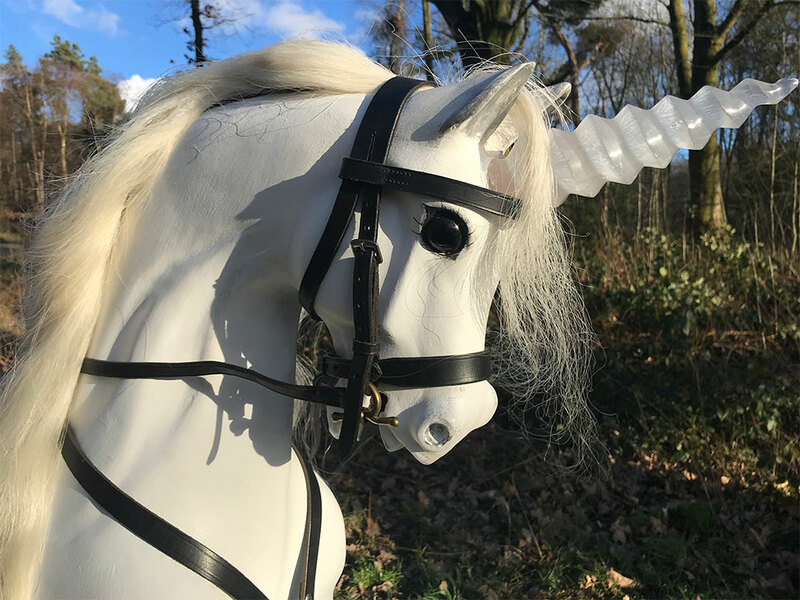 Crystal horn and hand painted to take the rider on a fantasy trip to new lands! 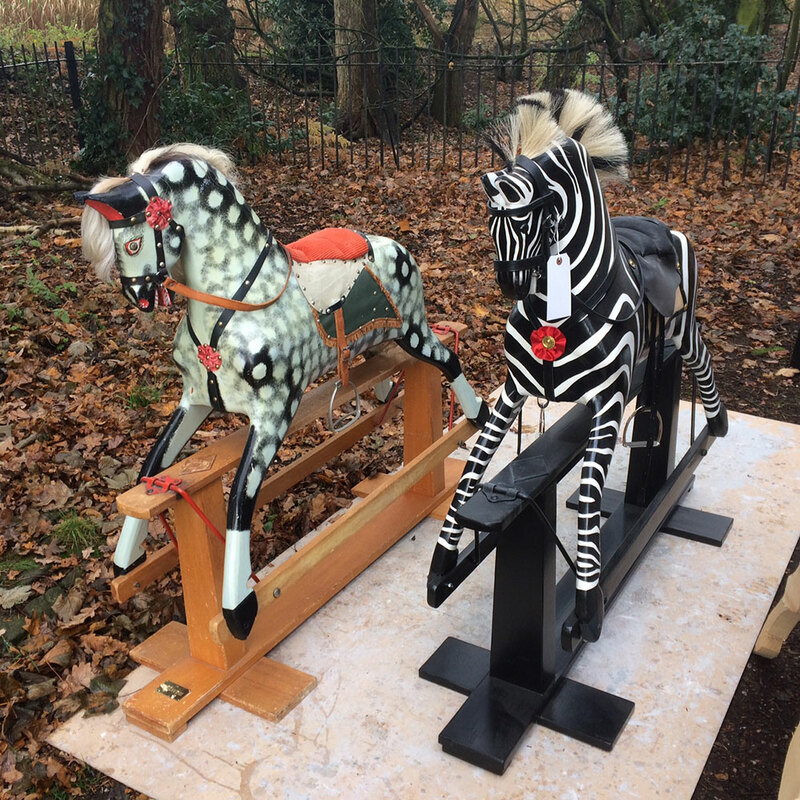 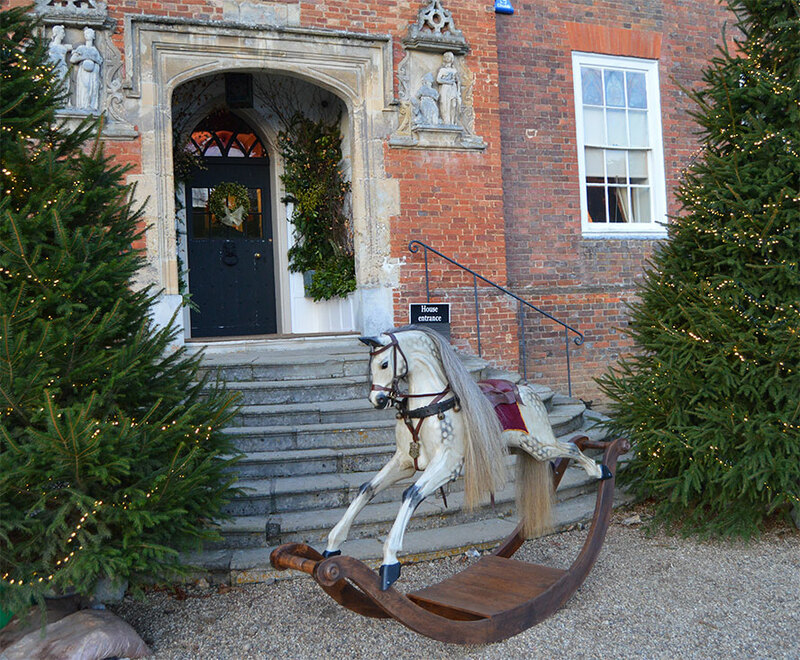 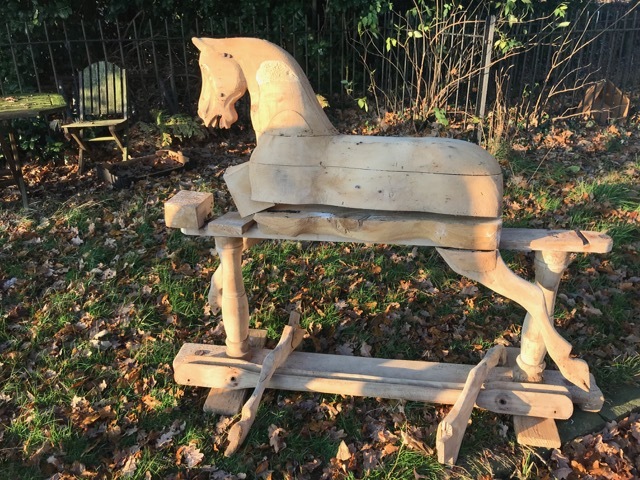 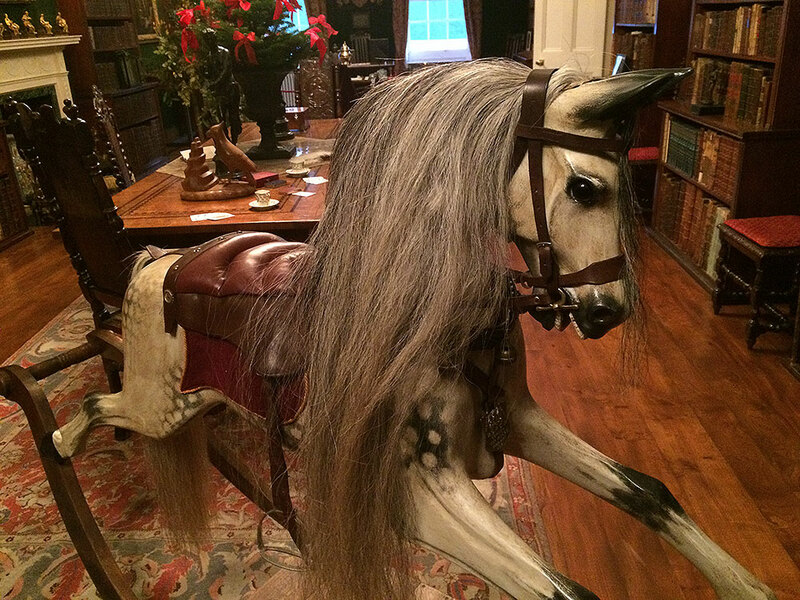 Our unique Rocking Horse which is currently on display at Stonor Park. 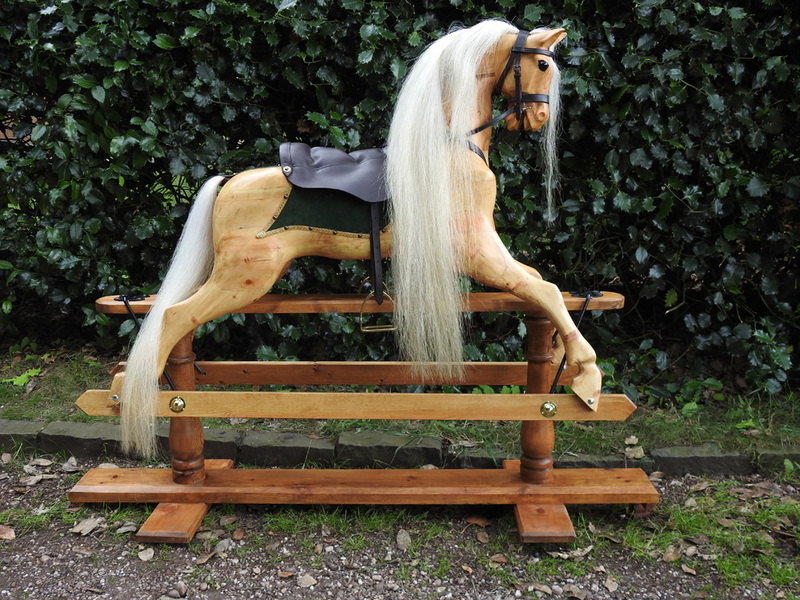 Available for delivery UK-wide - MORE INFORMATION. 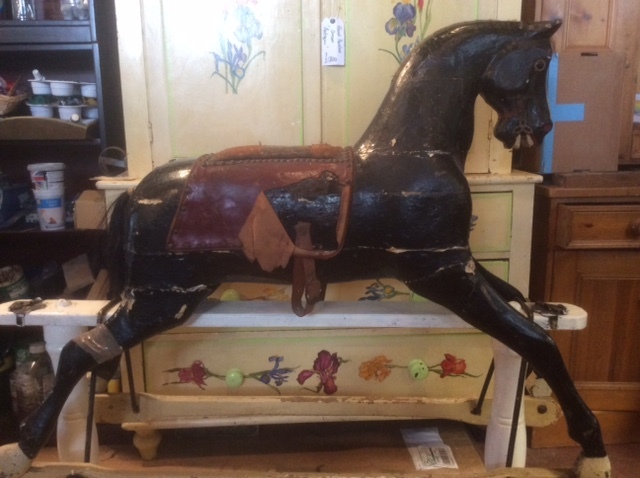 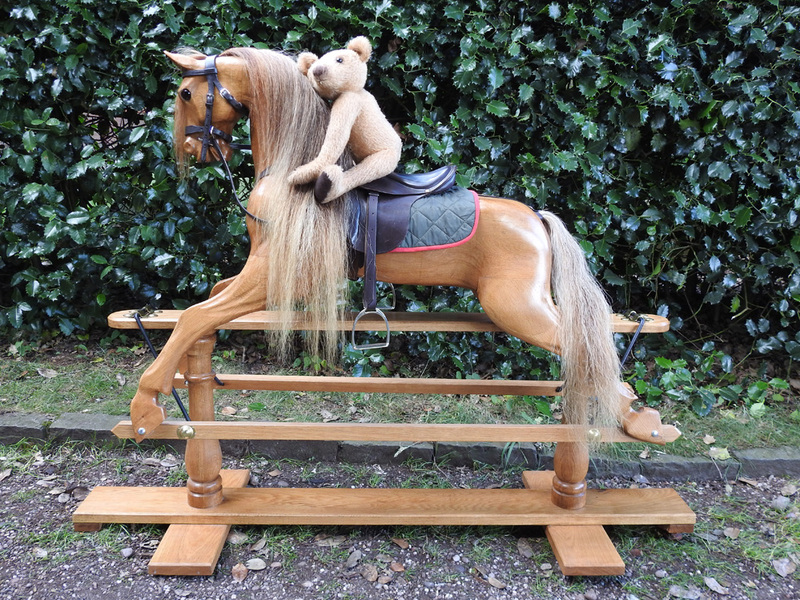 This horse is a faithful reproduction of an original F.H.Ayres Rocking Horse, he is a limited edition, 1 of 3. 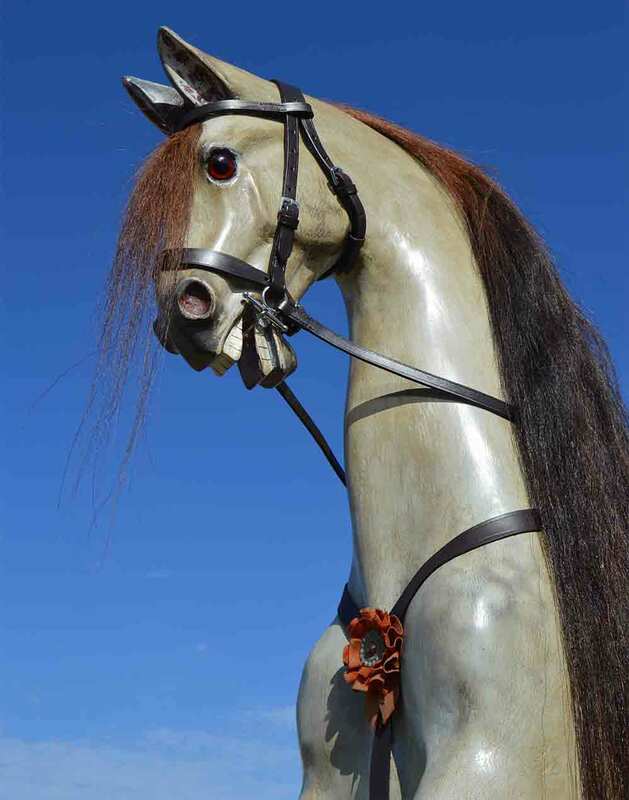 Available for delivery UK-wide - MORE INFORMATION. 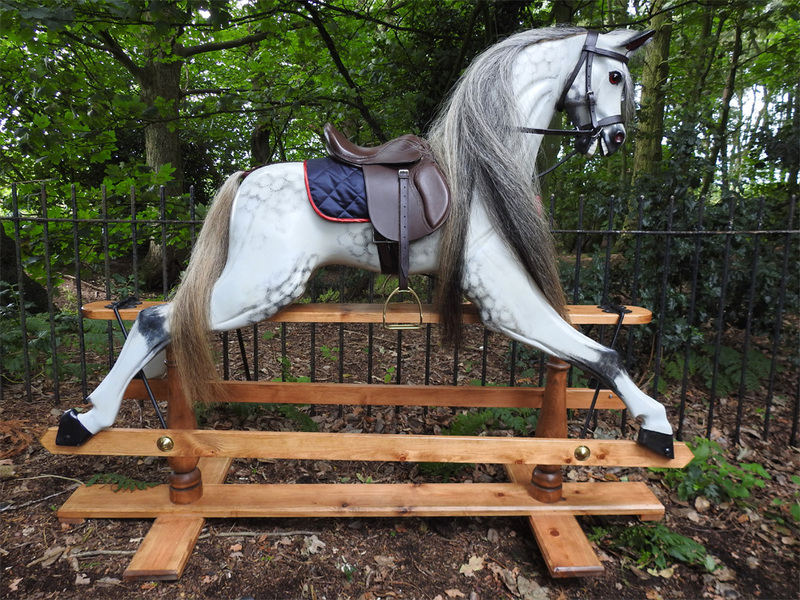 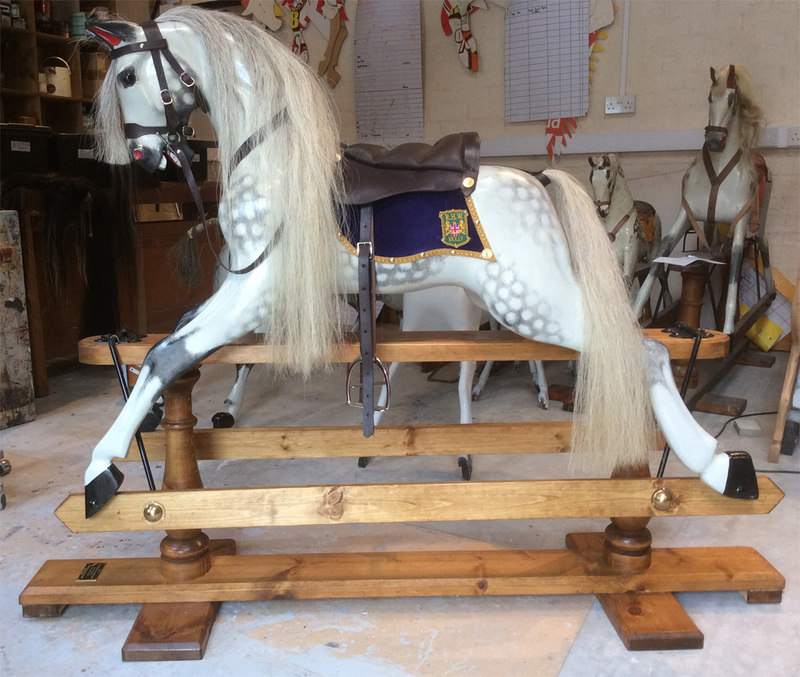 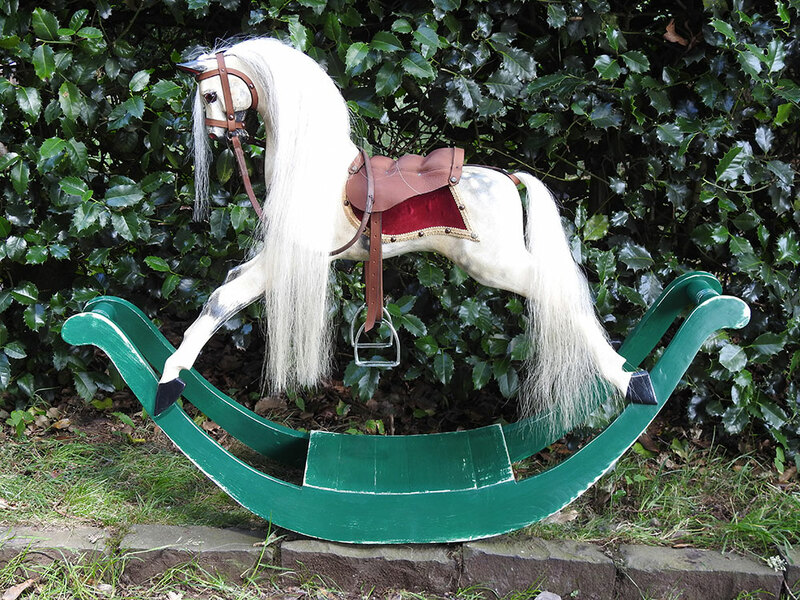 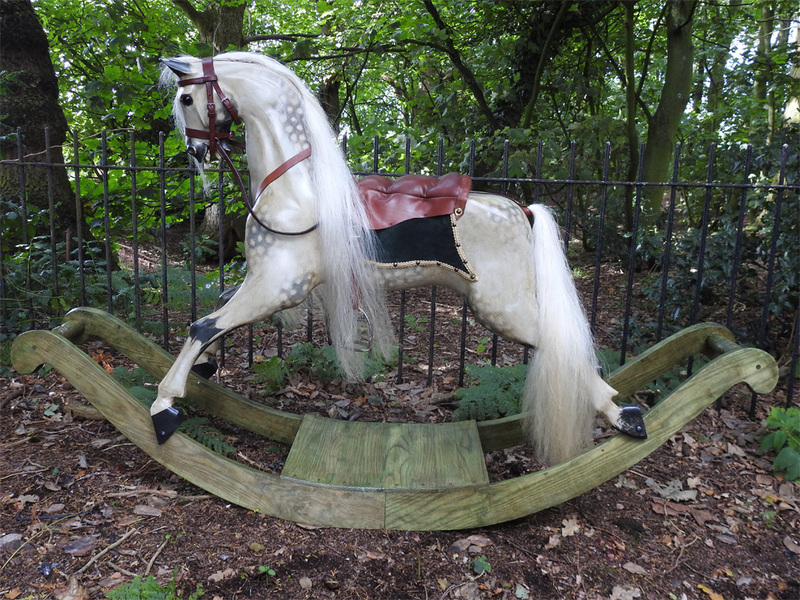 This dream-like beautiful rocking horse is the epitome of a traditional Victorian nursery steed. 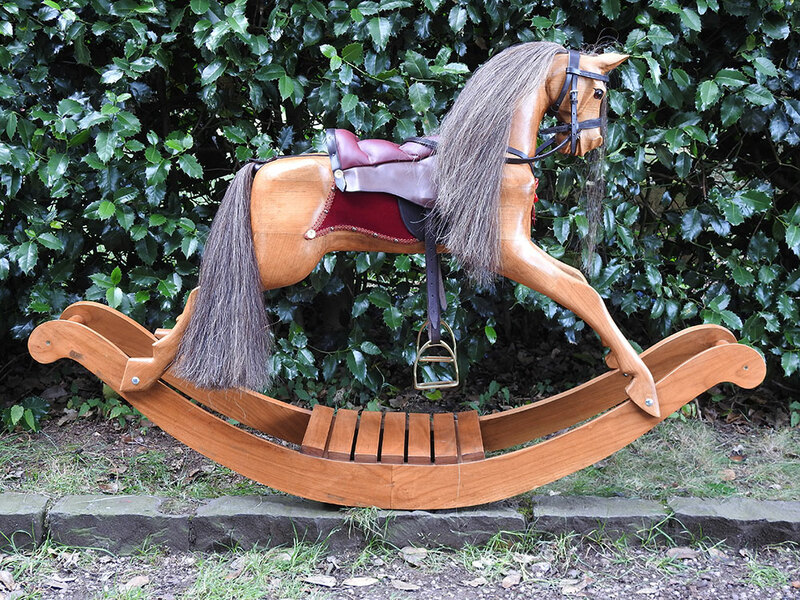 Available for delivery UK-wide - MORE INFORMATION. 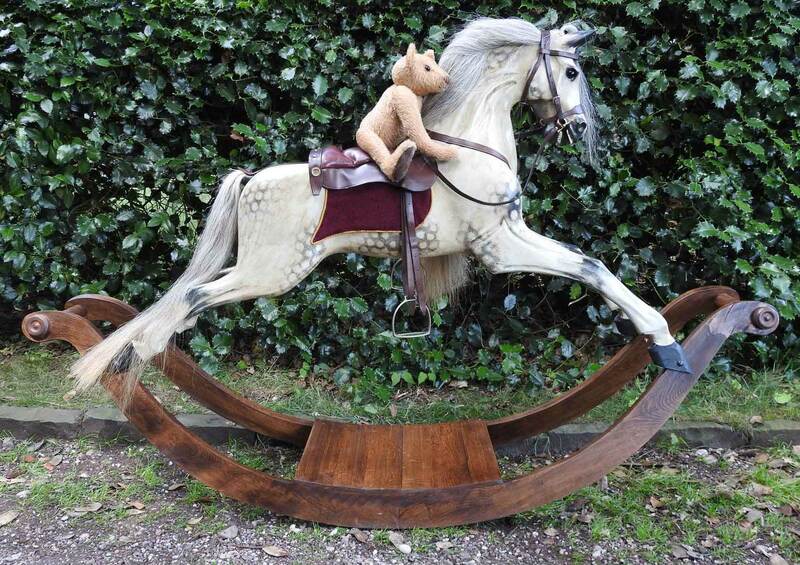 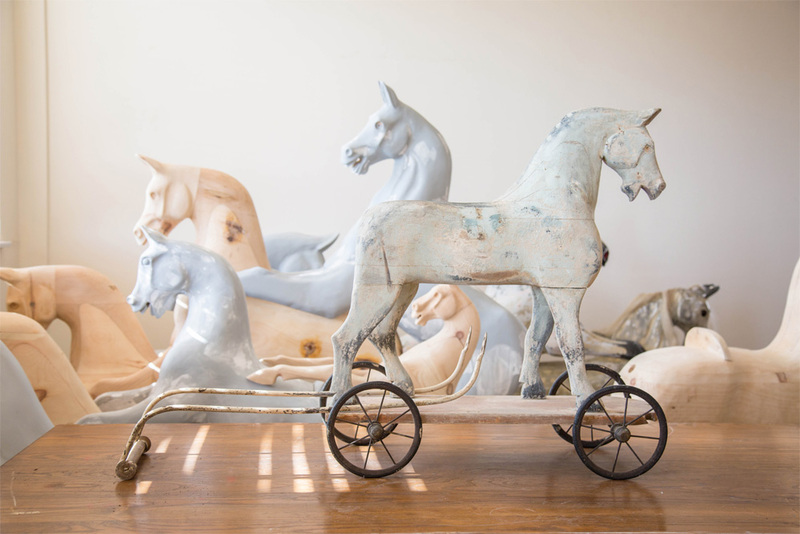 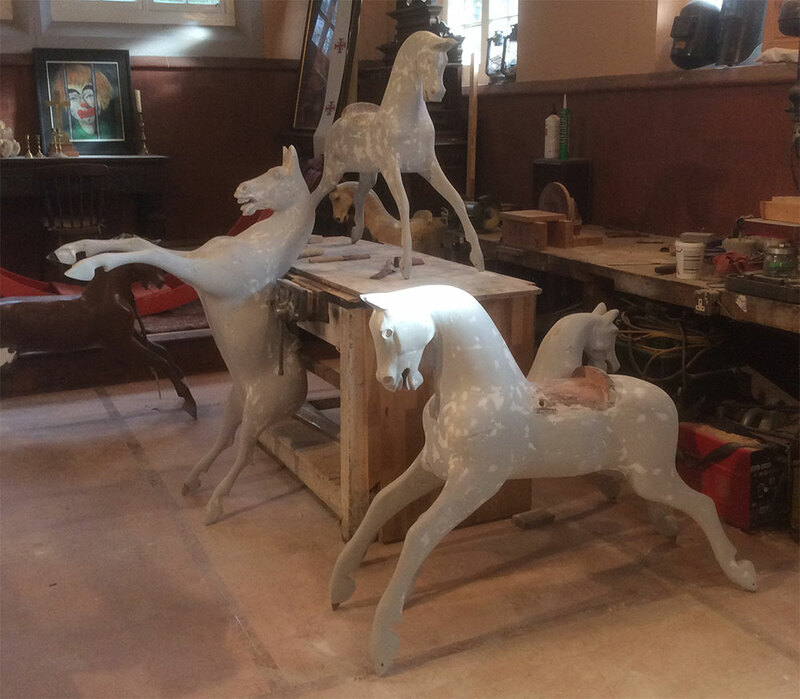 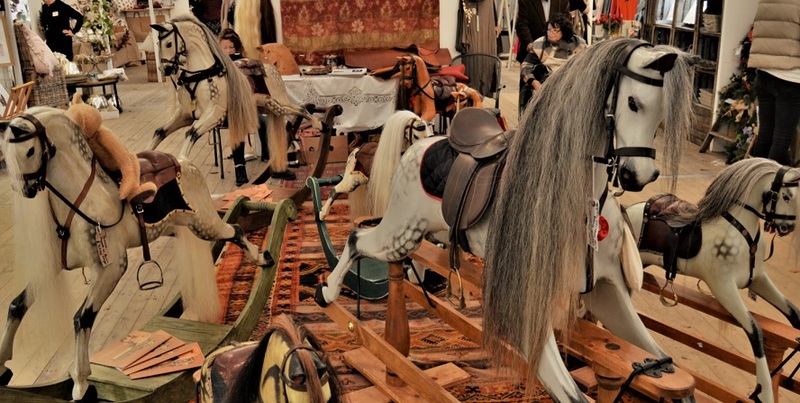 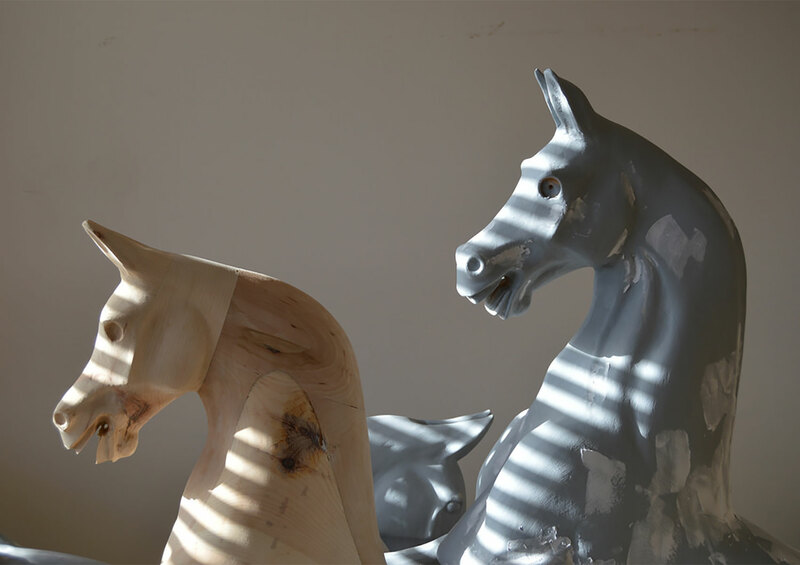 Our Dapple Grey rocking horses are all based on designs of the Victorian maker, F.H. 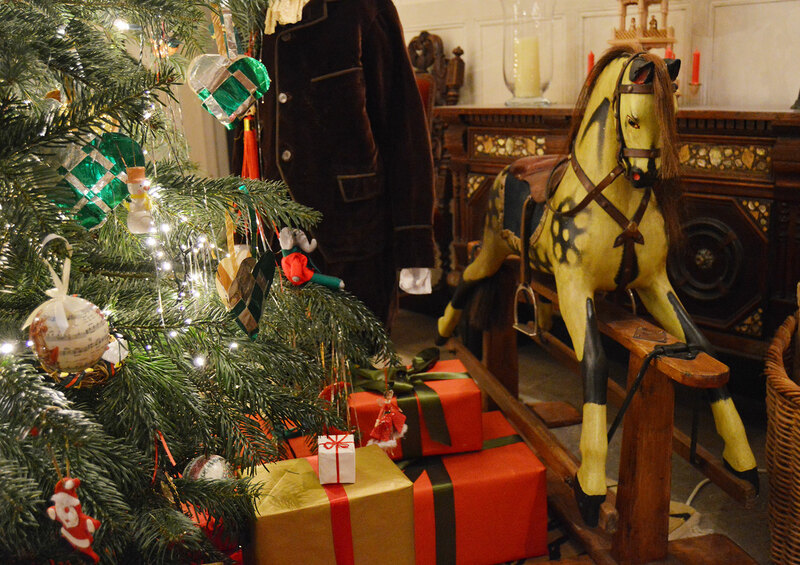 Ayres of London. 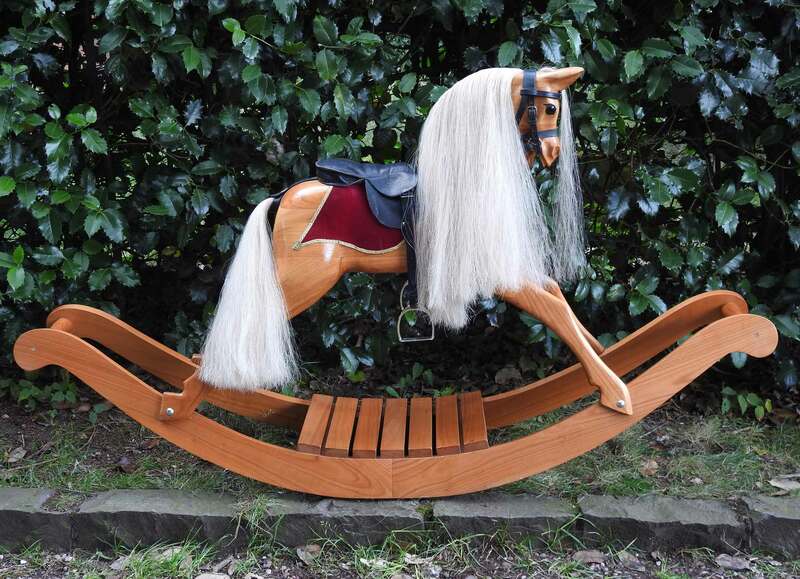 Available for delivery UK-wide - MORE INFORMATION. 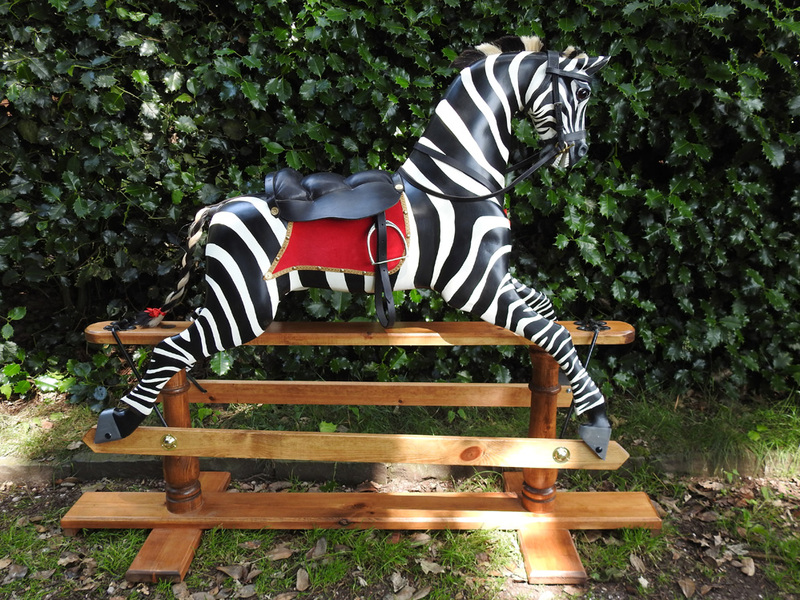 49 inches high, suitable for children and adults alike.Available for delivery UK-wide - MORE INFORMATION. 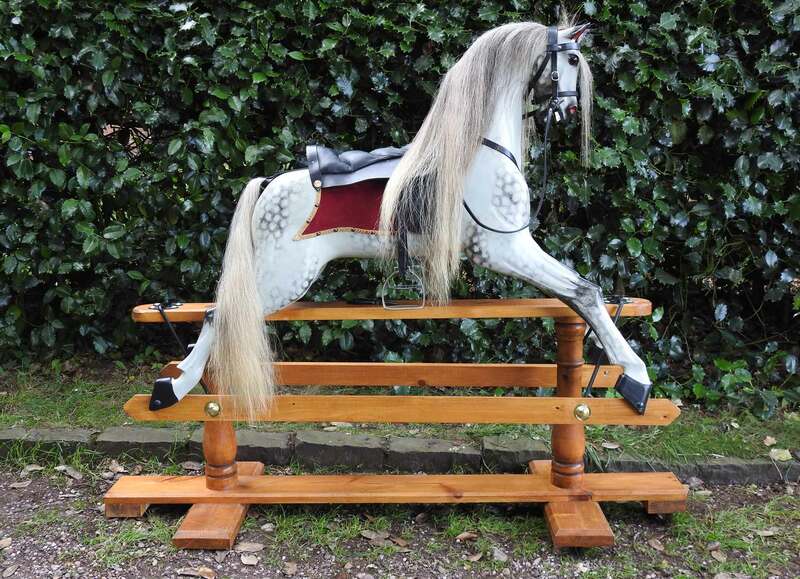 This lovely traditional daple grey rocking horse is 52 inch high and suitable for children and adults. 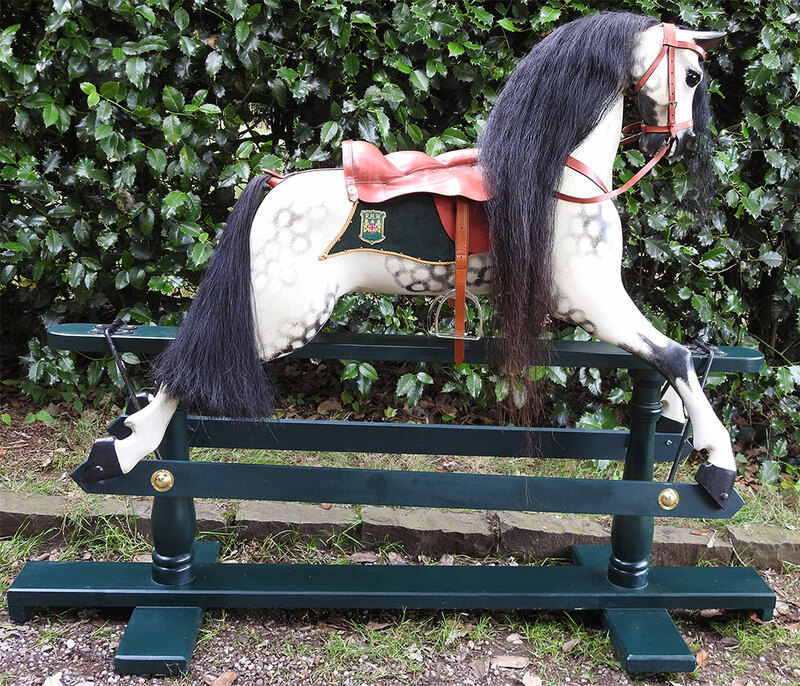 Available for delivery UK-wide - MORE INFORMATION. 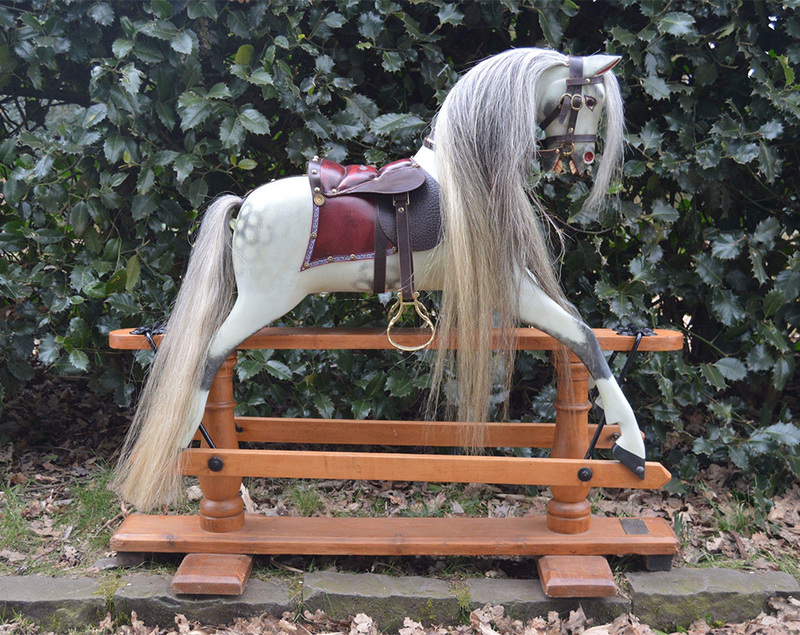 Large Antique Replica rocking horse on bow rockers. 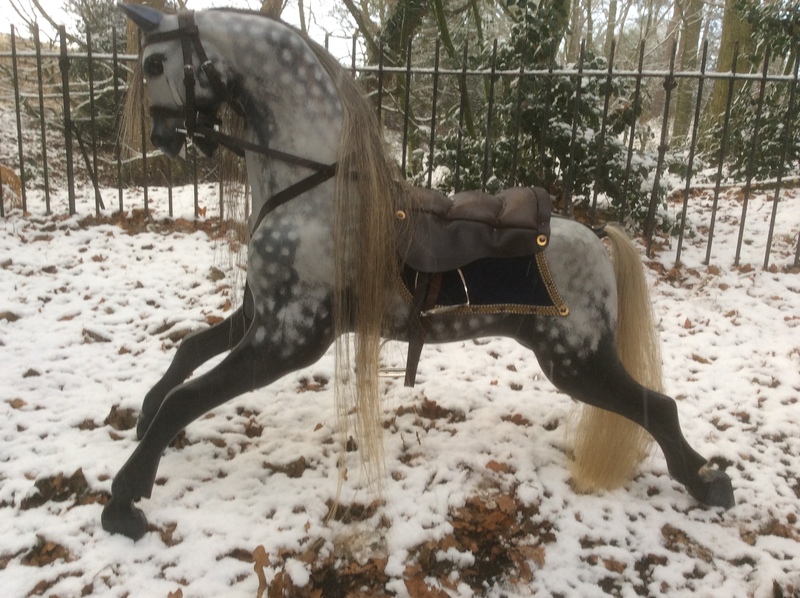 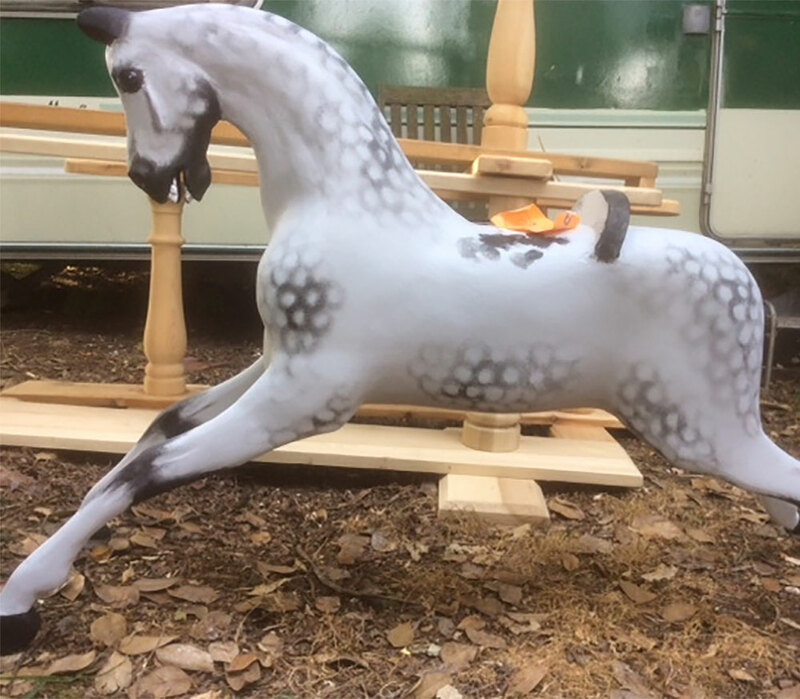 "Jessica" - this beautiful, large, Dapple Grey rocking horse is specially hand-painted. 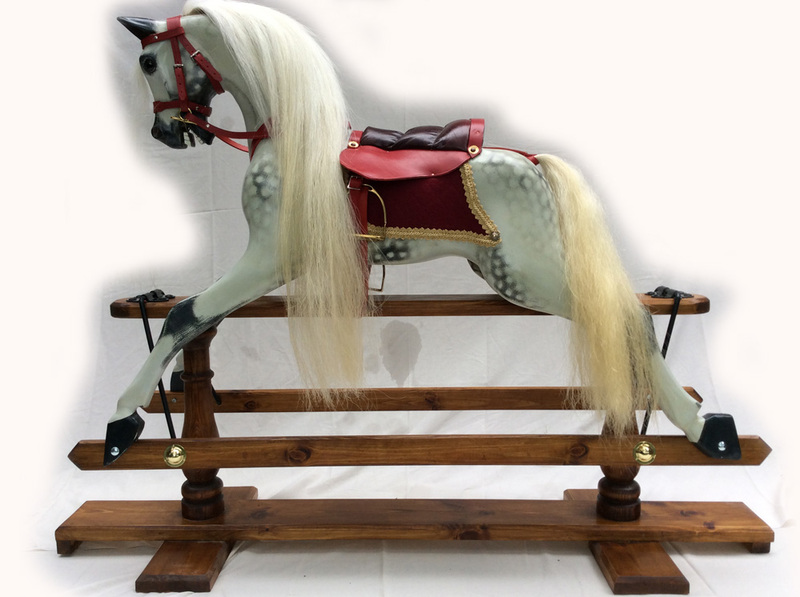 Available for delivery UK-wide - MORE INFORMATION. 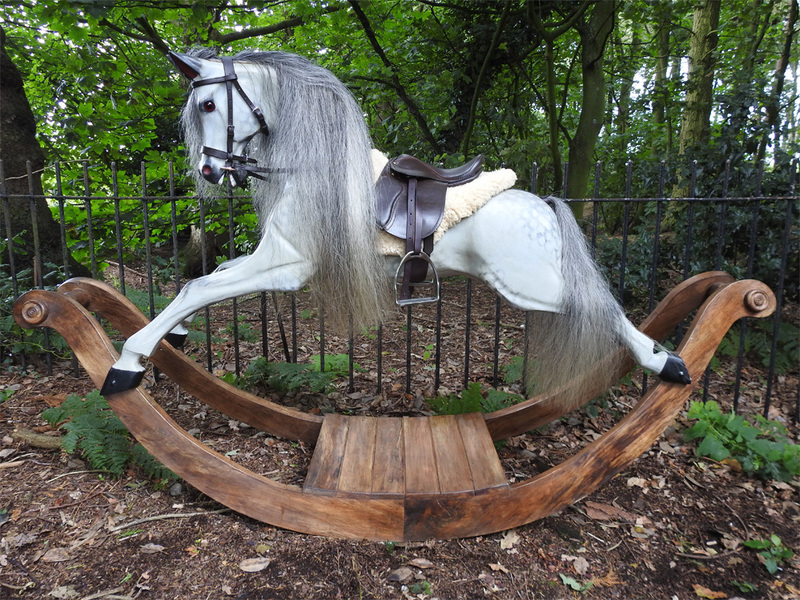 Serafina. 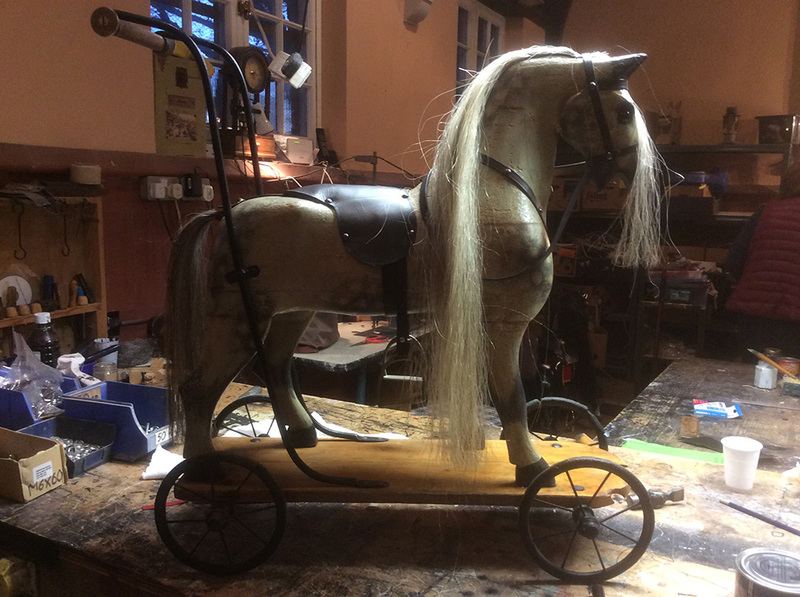 This beautiful little horse is a perfect example of a Victorian nursey steed. 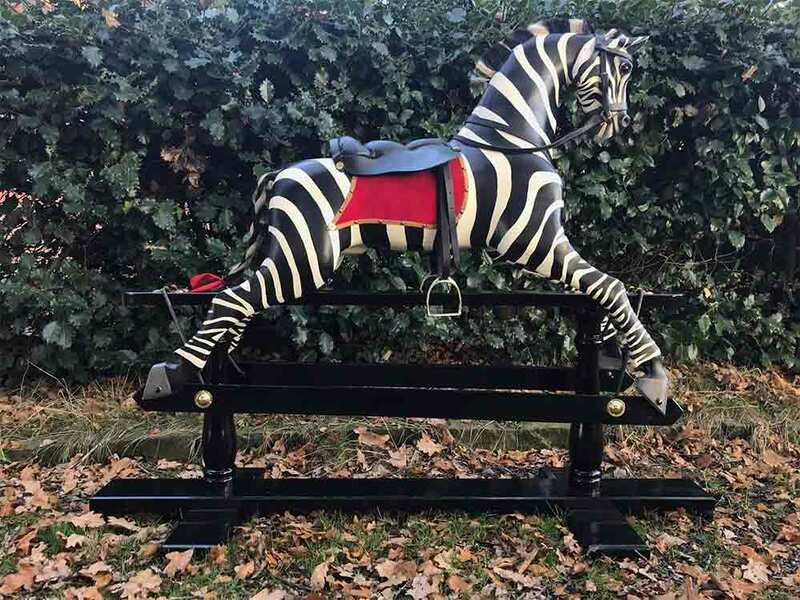 Available for delivery UK-wide - MORE INFORMATION. 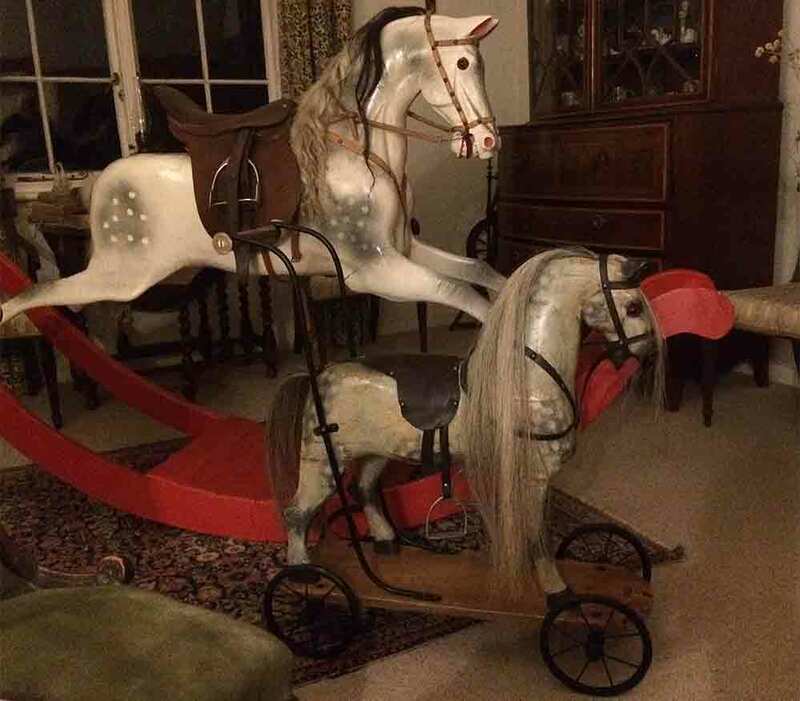 Medium sized. 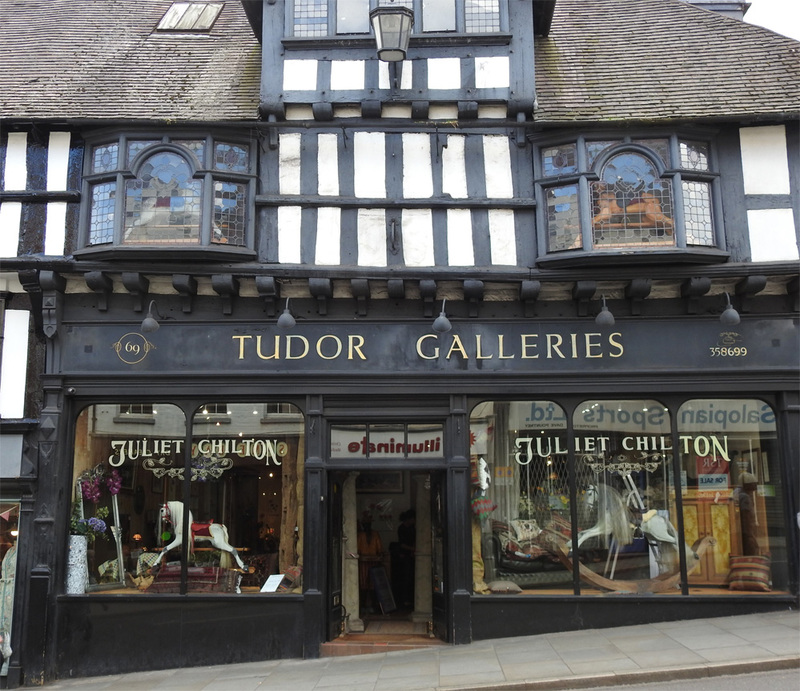 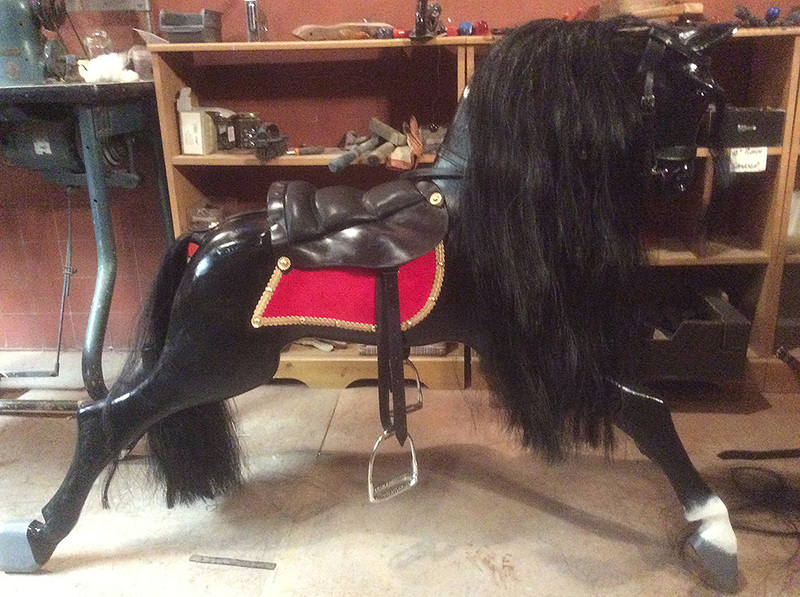 Has been authentically restored. 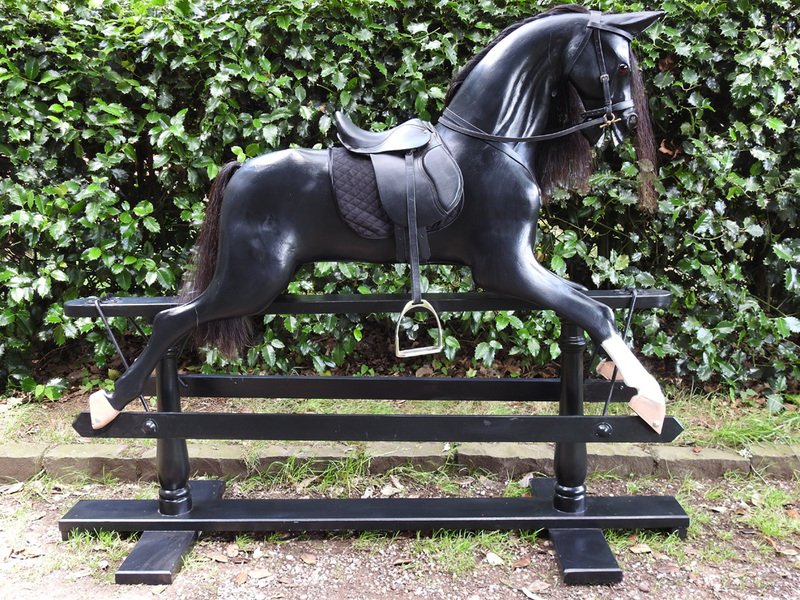 Available for delivery UK-wide - MORE INFORMATION. 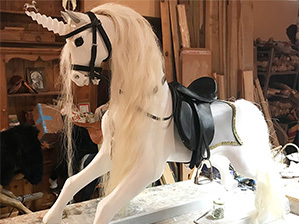 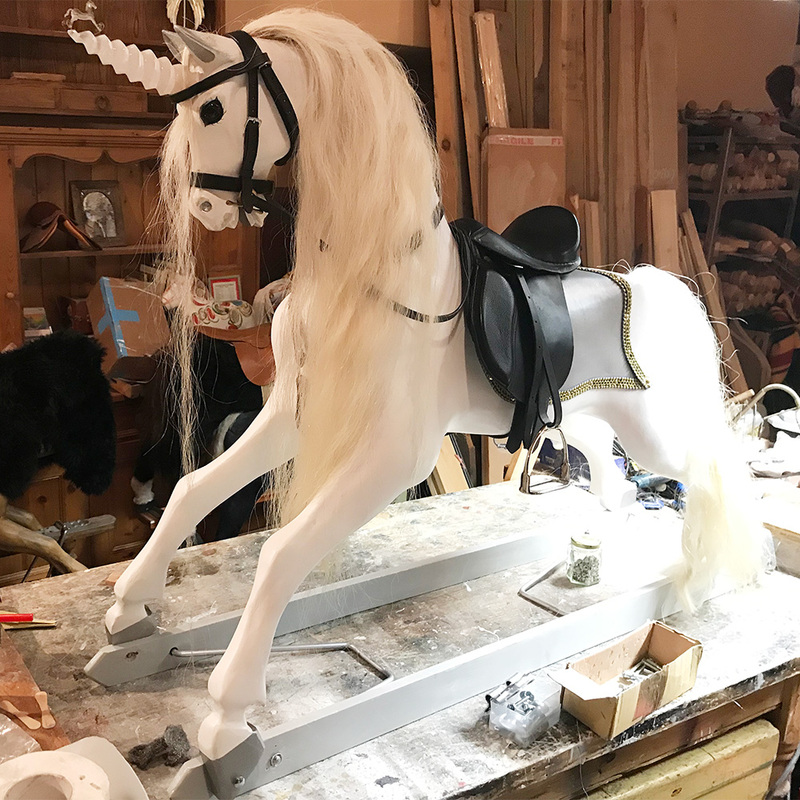 Our Unicorn rocking horse is a fantasy fairy tale and every little girl and boy's dream.Available for delivery UK-wide - MORE INFORMATION. 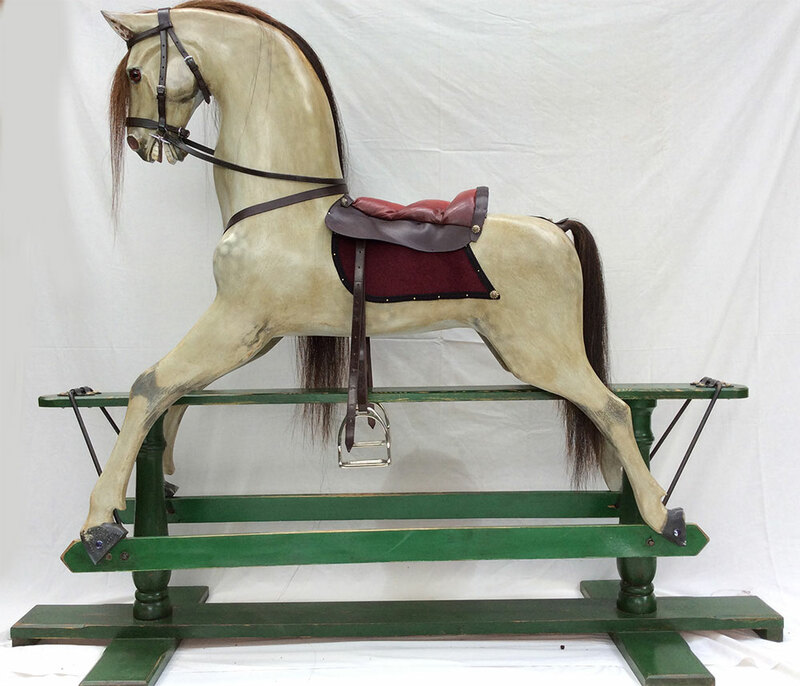 Manufactured by Baby Carriage ltd in circa 1920. 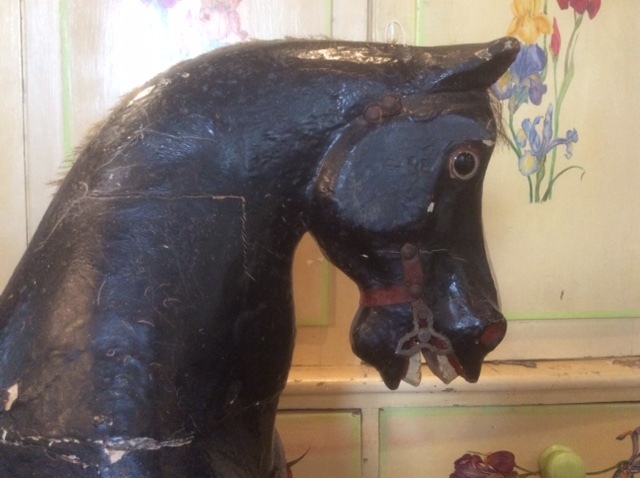 Horse in original condition, 43 inches high. 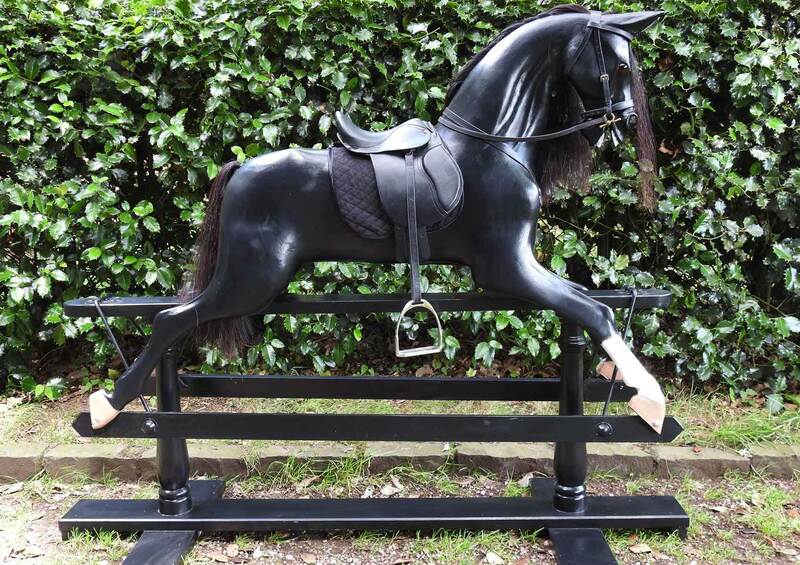 Available for delivery UK-wide - MORE INFORMATION.